Since the 1990s, artists and art writers around the world have increasingly undermined the essentialism associated with notions of "critical practice." 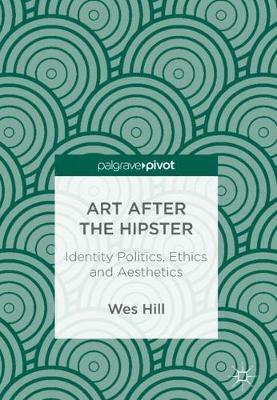 We can see this manifesting in the renewed relevance of what were previously considered "outsider" art practices, the emphasis on first-person accounts of identity over critical theory, and the proliferation of exhibitions that refuse to distinguish between art and the productions of culture more generally. 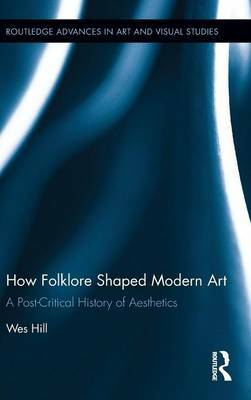 How Folklore Shaped Modern Art: A Post-Critical History of Aesthetics underscores how the cultural traditions, belief systems and performed exchanges that were once integral to the folklore discipline are now central to contemporary art's "post-critical turn." This shift is considered here as less a direct confrontation of critical procedures than a symptom of art's inclusive ideals, overturning the historical separation of fine art from those "uncritical" forms located in material and commercial culture. In a global context, aesthetics is now just one of numerous traditions informing our encounters with visual culture today, symptomatic of the pull towards an impossibly pluralistic image of art that reflects the irreducible conditions of identity. Buy How Folklore Shaped Modern Art by Wes Hill from Australia's Online Independent Bookstore, Boomerang Books. 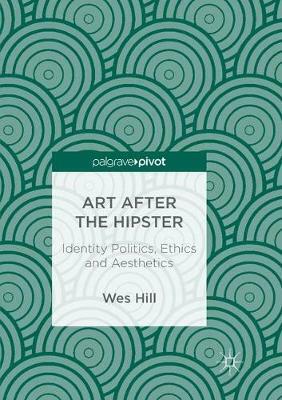 Wes Hill is an art historian, artist, art critic and curator who lectures in art theory and curatorial studies at Southern Cross University, Australia. His specialty research areas include contemporary art and the intersections of practice and theory.